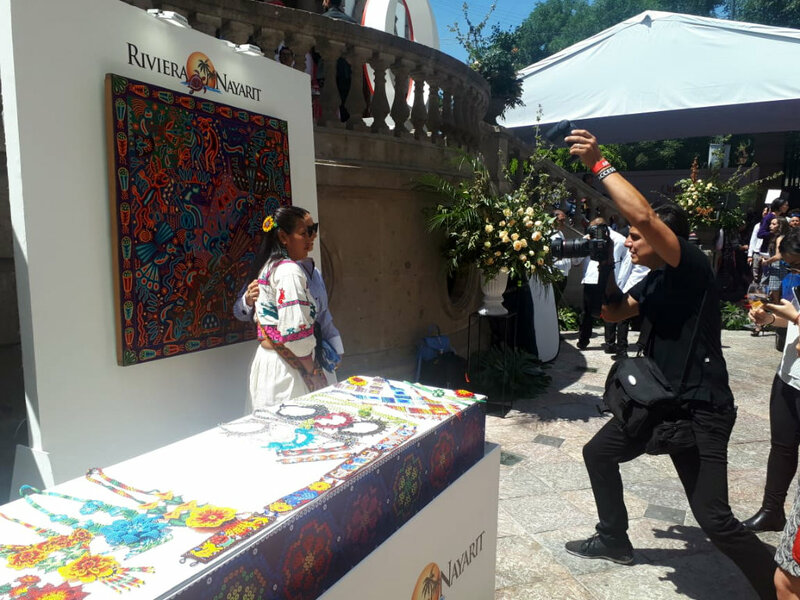 The Riviera Nayarit participated with a booth helmed by Minerva Muñoz, an artisan from Nayarit who presented an exhibit of her own Wixárika works of art. There were also plenty of photo ops with guests such as actress Yalitza Aparicio and presenters Inés Gómez Mont and Claudia Lizaldi. Paola Rojas emceed the event, during which attendees played a “hide and seek” game with a certificate for a two-night, three-day stay at the new Marival Armony Punta de Mita hotel that was taped to the bottom of a chair. Presenter Shanik Aspe and her daughter, Karla Berman (one of the 31 women on the list), were the lucky winners. 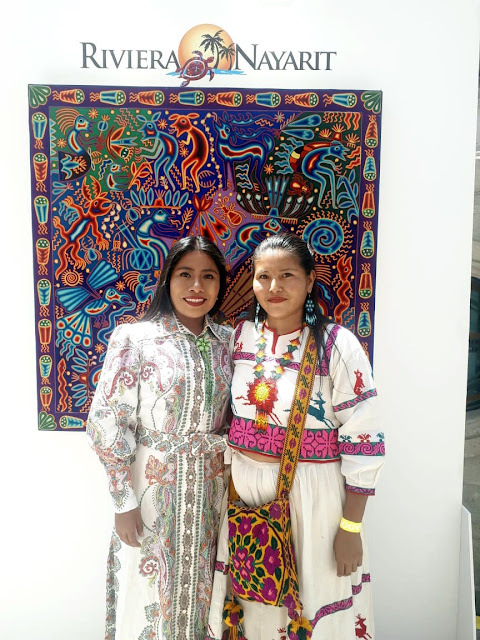 Actress Yalitza Aparicio with Nayarit artisan, Minerva Muñoz. 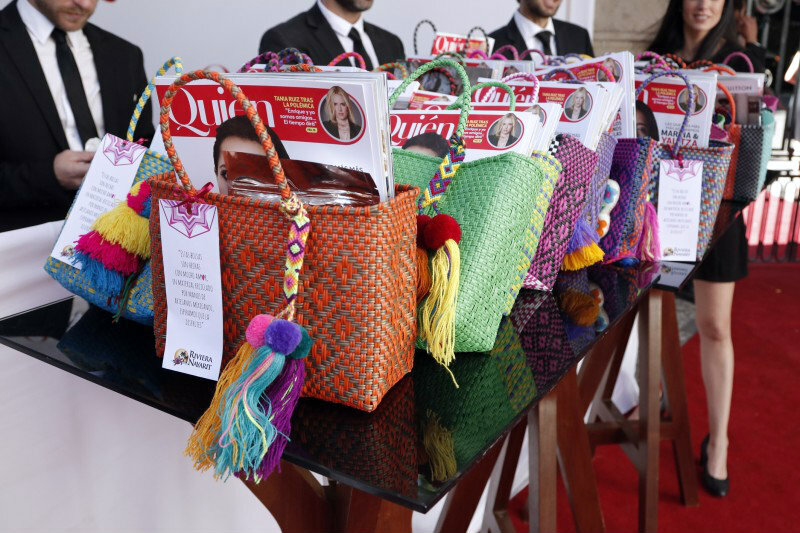 Each of the attendees also received a beach bag hand made from recycled materials by Mexican artisans with a copy of the magazine and other gift items inside. The 31 women also received a personalized award created by the Wixárika community. On the second day there was a presentation breakfast for the media, during which the public relations representatives from the Riviera Nayarit Convention and Visitors Bureau (CVB) and the Bahía de Banderas Hotel and Motel Association—convened by Newlink Mexico, the destination’s PR agency—presented the latest news from this natural treasure perched on the shores of the Mexican Pacific. Photo sessions with the Riviera Nayarit in the background during Quién magazine’s “31 Women We Love” event. There were representatives from 36 media present, including Excelsior, El Souvenir, Reportur, El Sol de México, El Financiero, Notimex, Milenio, Turistampa, El Heraldo de México, Viajero Tips, Travel & News, and Travel Times, to name just a few. During the event Public Relations Manager Richard Zarkin announced the Riviera Nayarit is strengthening its positioning as a luxury destination with an expansion program extending from 2019 through 2022 that will transform the destination into a magnet for investment. “31 Women We Love” event. Zarkin shared that three new hotels will be opening this year alone: Marival Armony, from the Marival Group; a second property from Grupo Iberostar; and the Conrad Hilton. Other hotels including the One&Only and Rosewood Mandarina; Dreams Punta de Mita Resort & Spa; and AMResorts’ Secrets Punta de Mita Resort & Spa will open in 2020. Meanwhile, the Costa Canuva master planned development—also expected to open in 2020—will include a Fairmont Costa Canuva and a Ritz Carlton Reserve, with an additional three hotels in the pipeline, as well as 500 residential beachfront units and a golf course designed by Lorena Ochoa and Greg Norman. Last but not least, Susurros del Corazón, an Auberge Resorts Collection hotel, will arrive in Punta de Mita in 2021. Marival Armony Punta de Mita hotel. In reference to the promotional work done in Mexico City, Marc Murphy, managing director of the CVB and the AHMBB, declared these promotional, marketing, and public relations strategies are all aligned towards a common goal that is now becoming a reality: that of positioning the Riviera Nayarit as Mexico’s newest luxury destination.